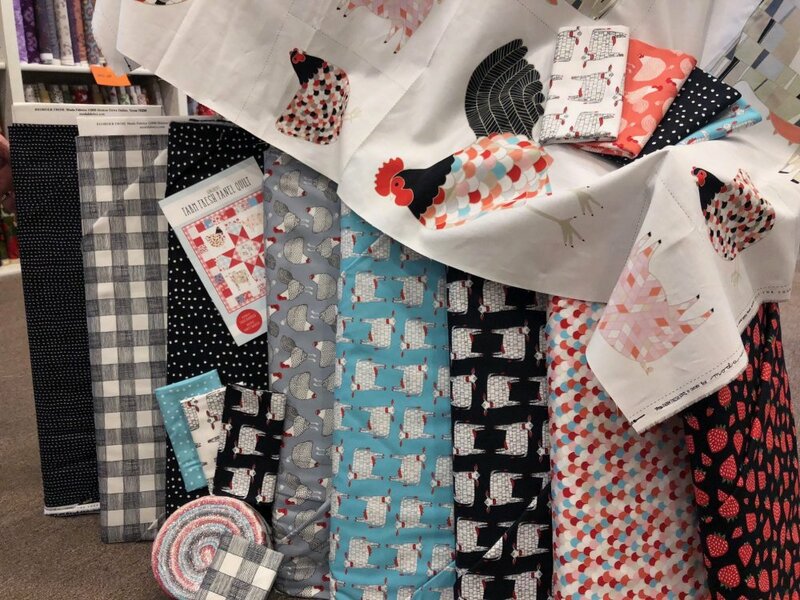 Kenzie by Quilting Treasures is a stunning new line that looks even better in person. 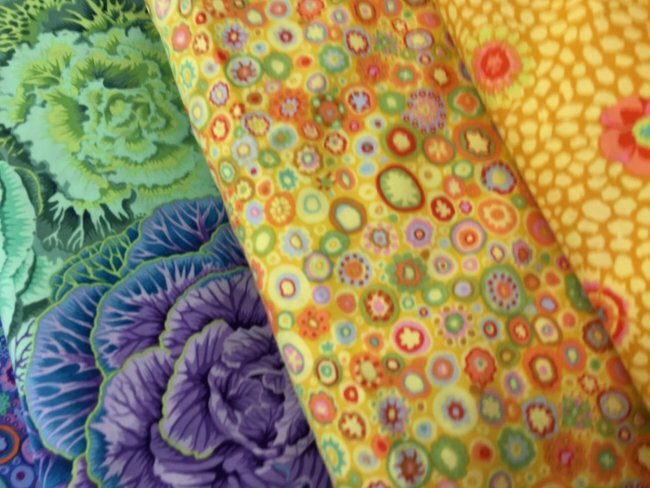 Vibrant colors, luxurious hand, and so many ways it could be used make this line a perfect choice for your next project. 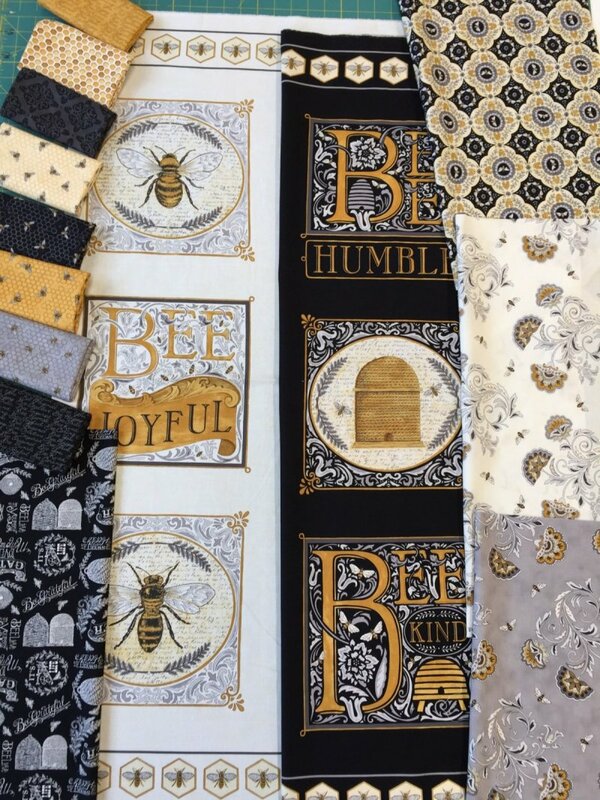 This delightful line, Bee Joyful, is from Moda. 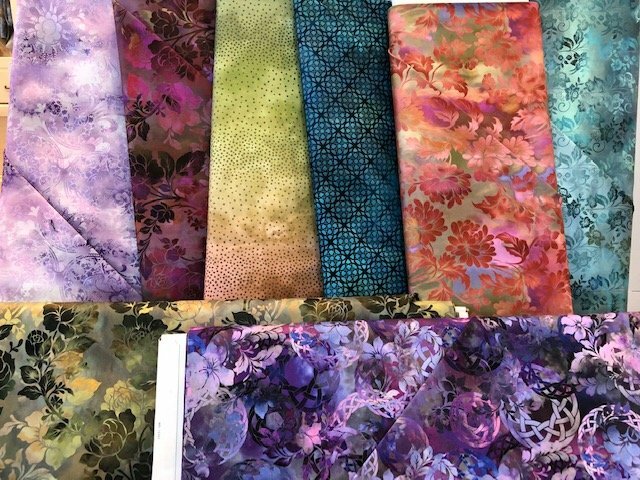 The unique palette, lovely hand and beautiful detail in the fabric are inspirational and sure to make a successful project however they are used. Be creative with Bee Joyful! 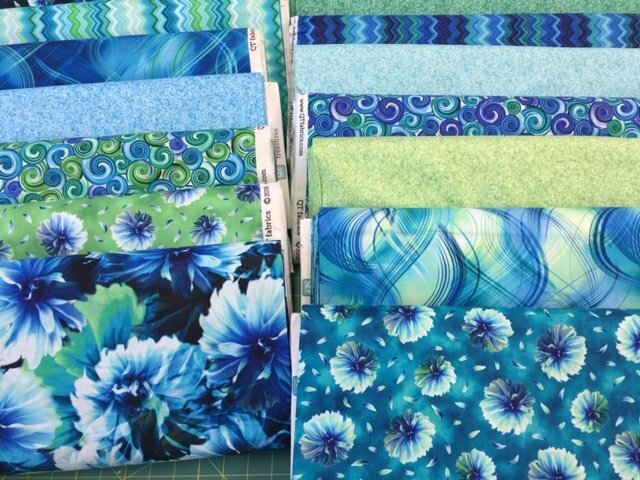 We have a new line from Moda: Sweet Harmony by American Jane. 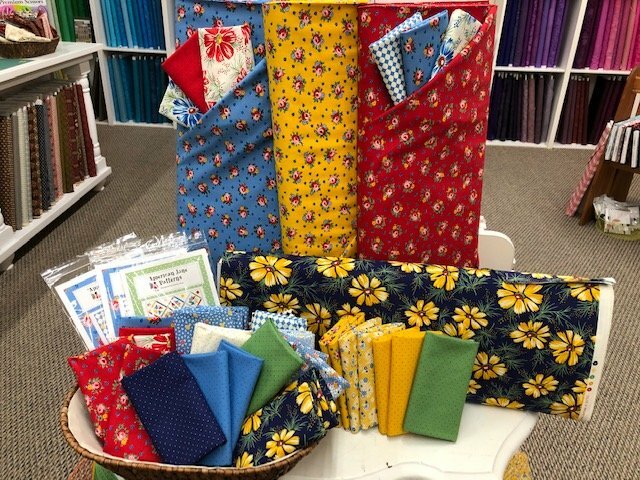 This cheery collection works beautifully in the quilt patterns that are available, but also makes charming aprons! 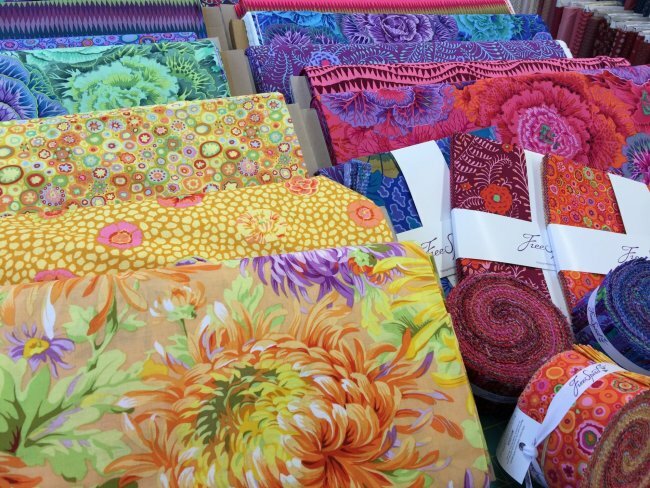 We are excited to introduce a new line of fabric from Kaffe Fassett here at our shop. We have 23 gorgeous bolts, plus lots of jelly rolls, charms and layer cakes. 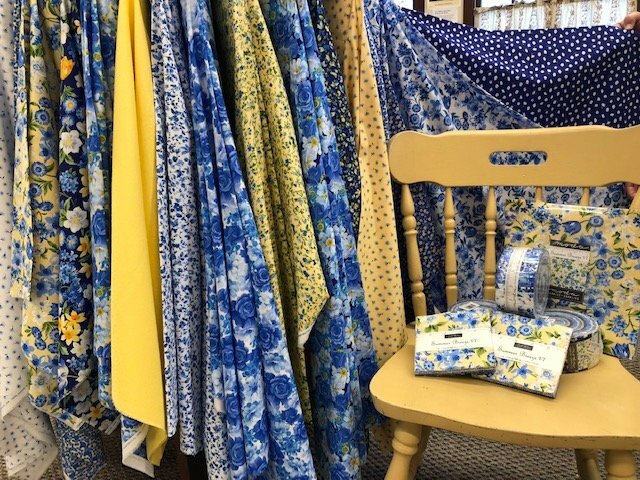 Summer Breeze VI is Moda's newest collection featuring beautiful floral designs in vibrant blues, yellows, and whites. The Diaphanous Collection from In the Beginning is special for its many layers of motifs, and their translucent quality. Created with new digital printing technology, subtle changes in color and transition from one design element to the next make this line truly unique. 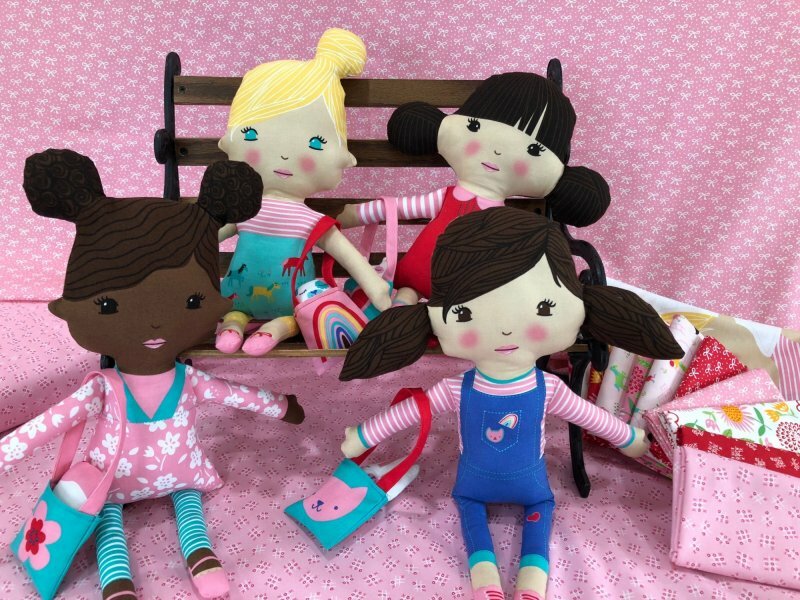 These ADORABLE dolls are from our new line, Best Friends Forever. One panel has patterns for all four dolls, four special pets, and four little purses. They are fun to make, and even more fun to play with! Just in time for Presidents Day! 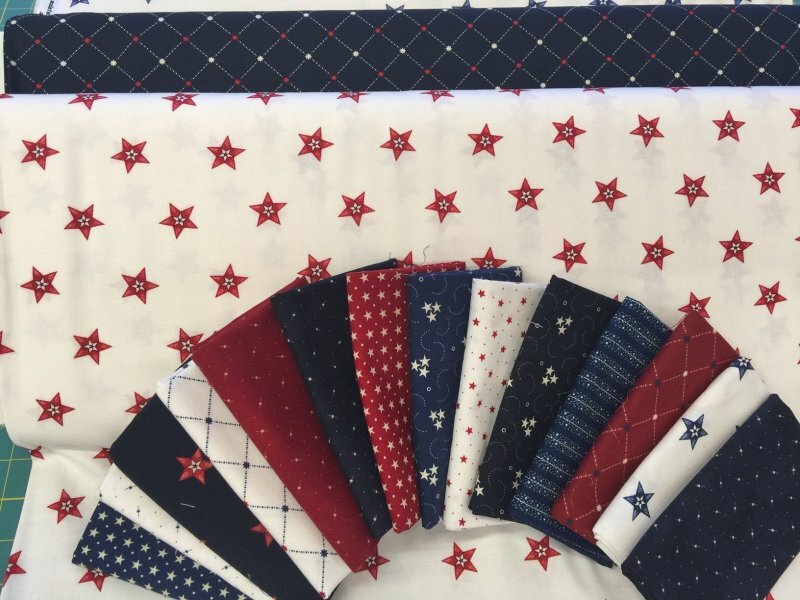 Two new patriotic lines: Star and Stripe Gatherings, designed by Lisa Bongean and Land that I Love. 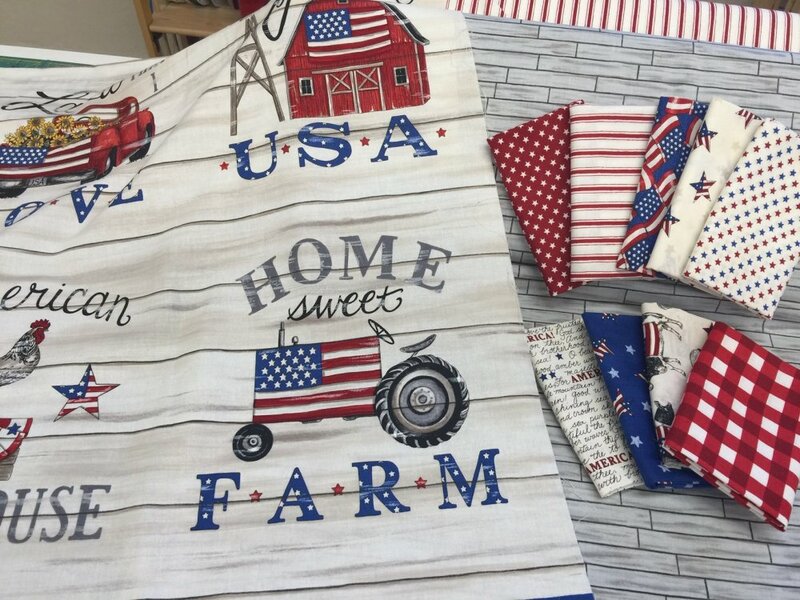 You've been asking for them, and here they are--beautiful fabrics to help you with your Fourth of July sewing. We just got in a new line from Moda: Farm Fresh. The collection includes charming animal panel, and precuts.